Are you happy with everything? Bet you haven’t thought about this one! 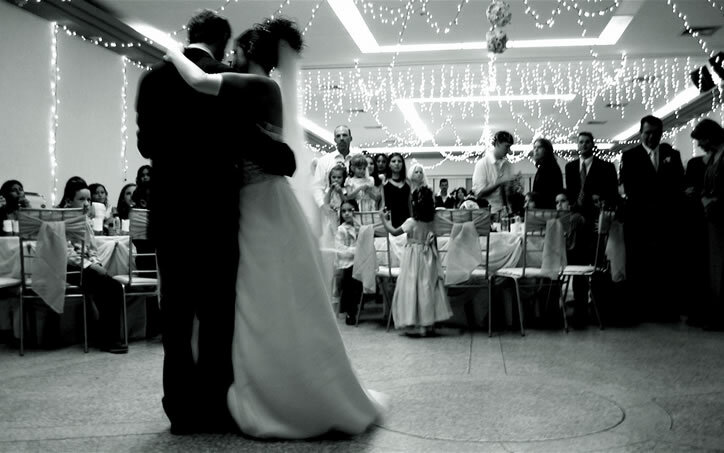 Have you thought about that first dance that you have to do by tradition as man and wife? Have you thought how embarrassing it can be when you have to take the floor to do that first dance and everyone is standing around staring at you. Let us take that embarrassment away for you. Surprise yourself and feel at ease and confident. Give your friends and family a surprise by not doing the usual shuffle of three left feet. Pick a piece of your favourite music and we will do the rest. We can guarantee that we can make any dance fit any piece of music of your choice slow or up beat. 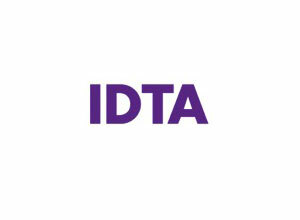 Rumba, Cha Cha Cha, Waltz Quickstep, Tango, Jive, Rock N Roll, Street Hip Hop, your choice we can do anything. Have you thought of this Thriller. If you have three left feet we will help you out. The amount of tuition you take is your decision, at a time to suite your busy schedule. Wendy recently trained one of the Brides for Don’t Tell The Bride tv programme series 4. What about something completely different and learn Iconic dance routines? This could be your first dance, Thriller! Fight For This Love in the style of Rufus Hound lets dance for comic relief, our teacher David Jamerson performed this routine with Rufus and could teach you to surprise your friends. Can’t Touch this MC Hammer? Dirty Dancing? Smooth Criminal? Grease? The list is endless. 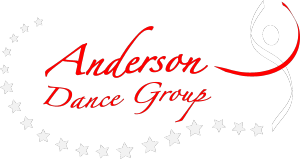 Having never danced before, I did not think it possible that I would have the confidence or ability to be able to do a first dance at my wedding, My then wife to be and I decided it would be a bit of fun to learn a “proper” dance and it was then I stumbled upon Anderson Dance Group, with Wendy’s help she transformed me from two left feet into someone that danced a Cha Cha at the wedding, to rapturous applause and cheers from our friends it was definitely one of the highlights of the day, An experience enjoyed so much we have continued with Ballroom at Anderson Dance Group ever since. What a way to ge the day started, suprise all your guests. Get your nearest and dearest involved or just the bridesmaids and best man. Make it a day to remember, we wil choreograph a routine for you to all your favourite party numbers. LETS GET THE PARTY STARTED. Have you thought about the traditional father and daughter first dance as well? Again this is something we can offer take all the stress away and put some enjoyment into it. Surprise your bride and all your guests, a dance routine choegraphed for you on your own, or for you and all your best men. We can do anything, ultimate surprise for everyone at your wedding. Impress your bride and all your guests. You name it we can do it. We love a challenge Surprise yourself and everyone else! Run out of ideas for the hen or stag do? Come and party with us. A Hen/Stag party with a difference, Learn the moves and the grooves and learn Iconic dance routines? Thriller? Fight For This Love in the style of Rufus Hound lets dance for comic relief, Cant Touch this MC Hammer? Dirty Dancing? Smooth Criminal? Grease Tbirds/pink ladies? Old Skool Hip/ Hop. Commercial Pop The list is endless. Something different for your wedding, party or corporate event, We offer Professional performances from dancers of Pop artists, tv shows, stage and theatre. Created by professional choreographers. We also offer our Nationwide competing Freestyle disco, Rock n Roll, Street teams ranging from the ages of under 9 to 18 years. Anything else in mind? We can offer it to you come to us with your ideas.